Hop Around The World Getaway! WE’RE THRILLED TO ANNOUNCE OUR 2018 EXPERIENCES RAFFLE HAS COME TO A CLOSE! 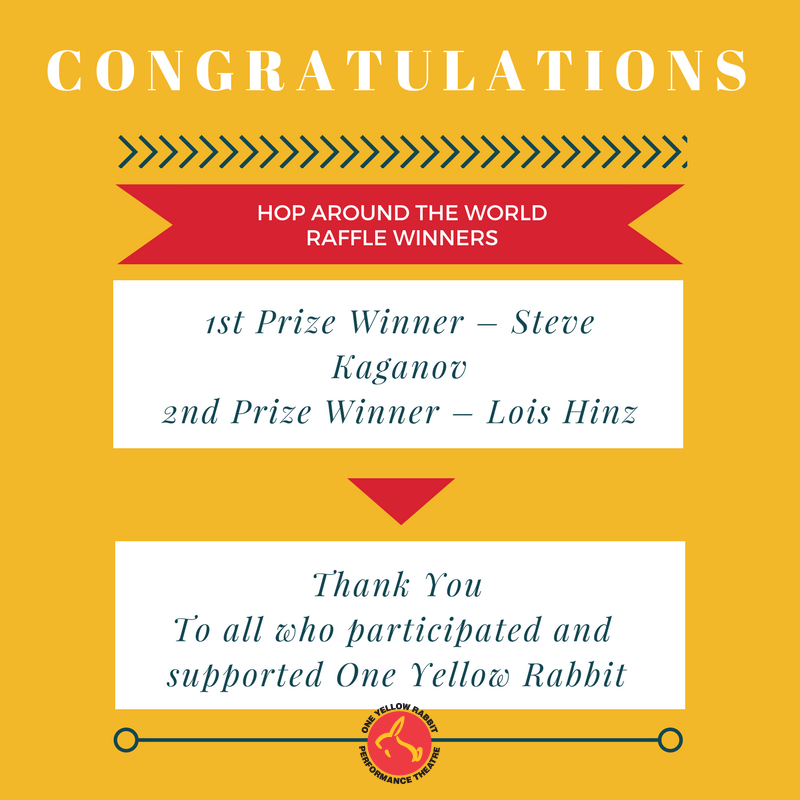 Thank you all who participated in support of One Yellow Rabbit and the High Performance Rodeo. Your contributions make a large impact on our organization, the Calgary stage, and the International stage for the arts. From the bottom of our rabbit hearts, thank you. Winning package includes flights, 5-nights accommodation, and passes to the Dublin Fringe Festival. 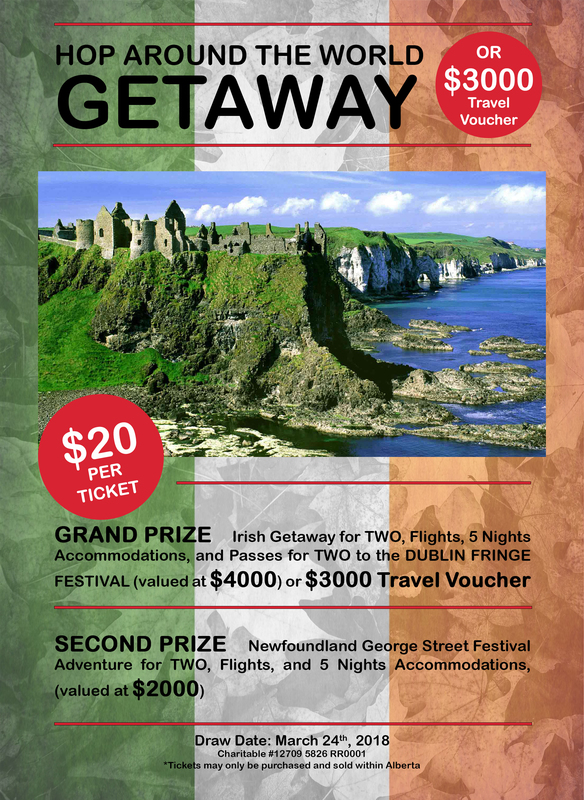 Winning package includes flights, 5-nights accommodation and access to George Street Festival. 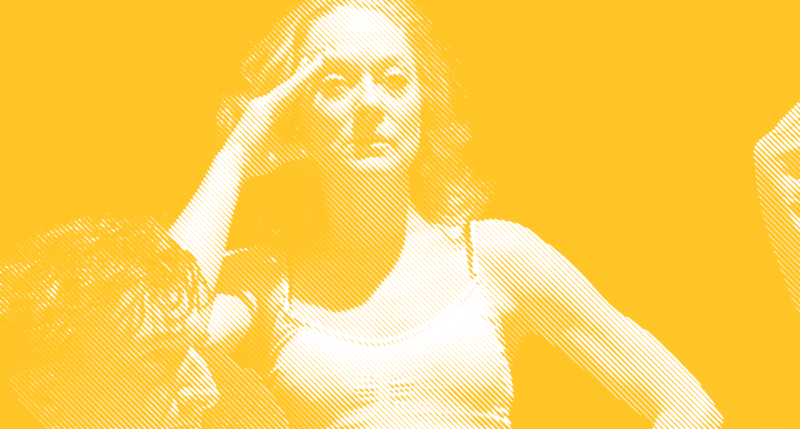 Tickets available at the One Yellow Rabbit office during regular business hours. Tickets are selling fast - don’t wait to get your ticket!! All proceeds go to support One Yellow Rabbit. Only 1000 tickets available. Prizes valued at over $6000. Winners will be drawn March 24, 2018, at 1 pm – One Yellow Rabbit office, Arts Commons. Join us or watch the event on Facebook Live.